Alastair Thomas here! I am the project manager responsible for delivery of the Buyers Toolkit (BTK). 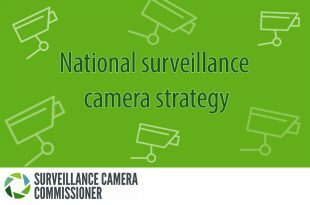 This work is being progressed as part of the Surveillance Camera Commissioner’s National Surveillance Camera Strategy. It is being provided to assist small and medium enterprises (SMEs) that are thinking about buying a surveillance camera system, to choose and operate the right system for their particular needs and to comply with any relevant legal obligations which may arise. The BTK aims to help the non-expert in an SME who may find advice and guidance in the SCC’s Passport To Compliance a bit too detailed and complex for their needs. You can refer to my earlier guest blog post for more of the back story. This origin of this work arose from concerns being raised with the Surveillance Camera Commissioner from across a wide stakeholder spectrum about an information gap existing whenever a ‘non-expert’ customer wants to start talking an ‘expert’ provider about surveillance camera installations. So to empower the buyer, the project team brings together expertise from a wide range of industry, regulatory and other interests in preparing advice on making informed decisions which can lead to investment in the appropriate use of surveillance. It may help to save some money too! Since my last blog, we have held two project workshops to develop content and engaged Design 102 to create an interactive PDF format for the toolkit. This development work is very near completion, and the product is looking quite inspiring (Ed – you would say that wouldn’t you). Just a few more tweaks and our Beta version will be ready for a wider audience. Our next step is user testing and stakeholder consultation. One feature of the toolkit we are particularly keen to get right is the advice we give about the legal requirements which may apply, particularly data protection obligations, and how to meet them. As I write, Parliament is still considering the Data Protection Bill and the Information Commissioner’s Office (ICO) is consulting over its new Data Protection Impact Assessment guidance. So we still have to manage some uncertainty over what exactly should be said in the toolkit. As well as our stakeholder consultation exercise, we are already in close discussion with the ICO to make sure the toolkit does not create any confusion over the new obligations once the General Data Protection Regulation (GDPR) is implemented on 25 May 2018. When can you expect to see this toolkit? User testing and stakeholder consultation started in April as planned. The project team will make any refinements necessary so the toolkit is finalised in time to launch as the GDPR comes into force. If you have already registered your interest then you may expect to hear directly about the user testing and consultation. If not, you can still register your interest here and be in the know about it.